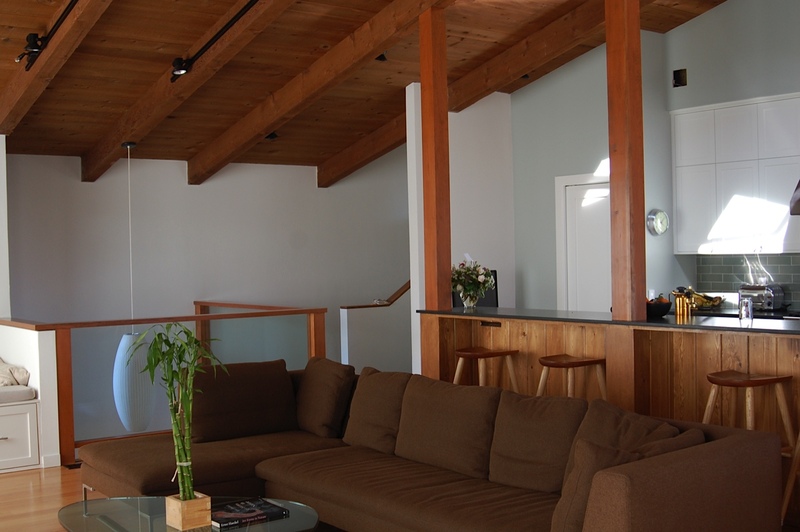 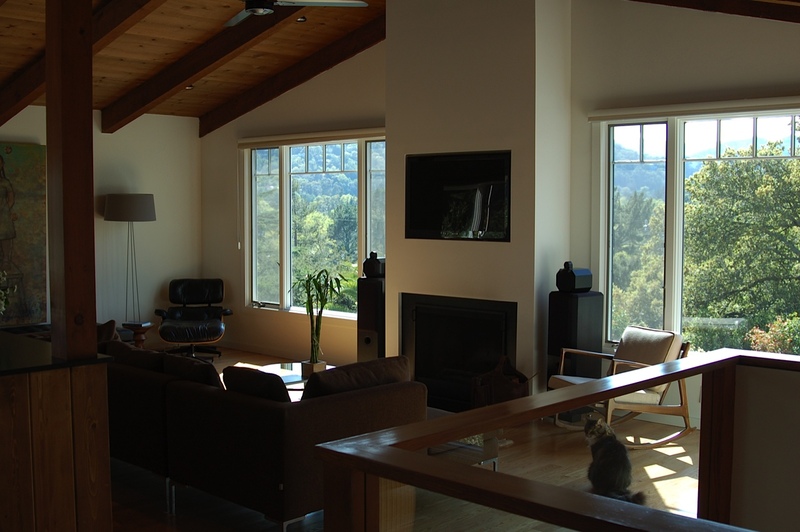 The Nicol House in San Anselmo was a challenging remodel. 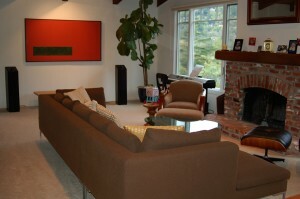 It is a 70’s spec house that sits on a spectacular lot in San Anselmo. 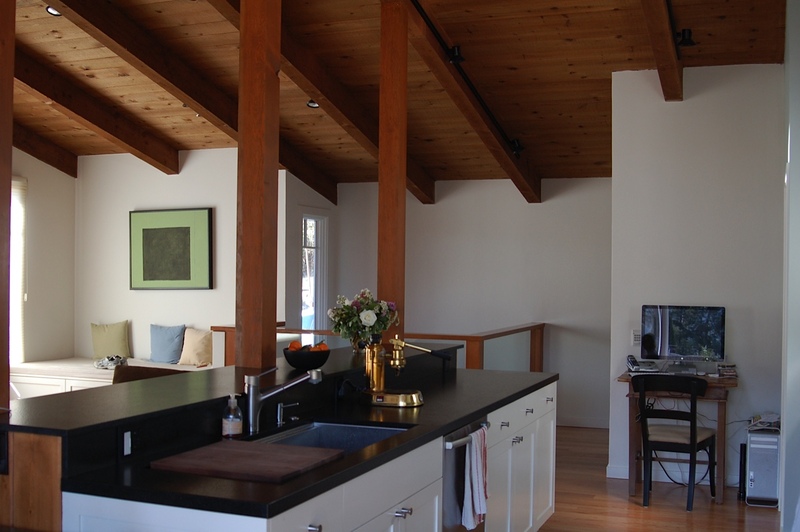 Tim Nicol Architecture designed the entry and kitchen remodel – I took his concepts and made them real. 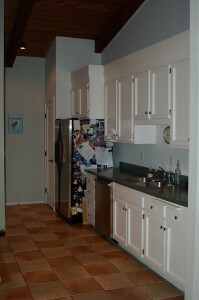 Mike Holman of Truckee custom designed cabinets for the kitchen. 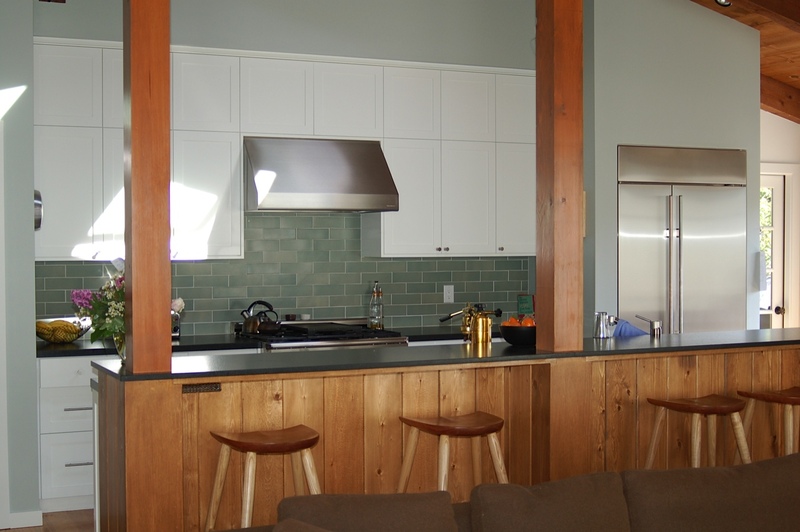 Sid Harris and I installed the cabinets, did all the framing and finish work, designed the glass rail detail for foyer, and put down the new oak flooring. 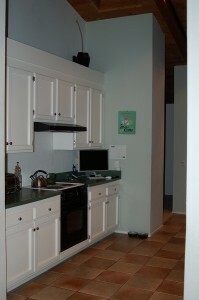 Something the photos below don’t show is the multimedia center in the bar cabinets with custom venting to keep it cool. 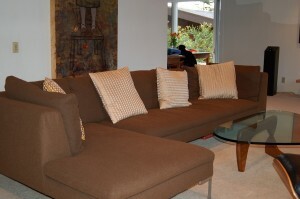 The best part of the project is that it came out far above anyones expectations.